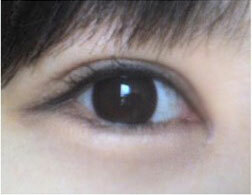 My eyes were pretty small and they were quite far away from each other - 4 cm ... Dr. Park said it was a very rare case. 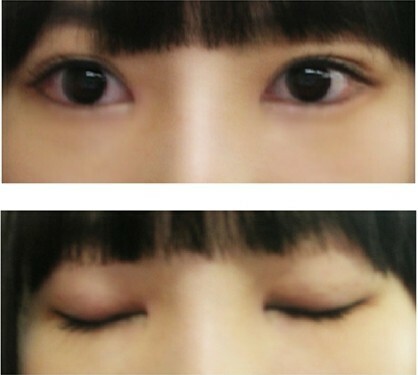 I had Non-incisional double eyelid surgery, and Epicanthoplasty. For me, I didn't feel much pain during the surgery. Juts listen to the instructions from the surgeon, open my eyes and close my eyes.I think I did it for like more than 100 times..
My epicanthoplasty took about half an hour. But they told me it was because of my special situation. Usually it took less time. The stiches were removed on Day 6, my eyes still looked weird on that day. But it became more natural starting from Day 13. I think my surgery's quite sucessful. The double eyelid looks really natural. I don't think so. Her outer corners look the same in the before photo. Looks good. Can you share more of your experience and which clinic? Love your results! I have very round eyes, and am looking into similar procedures as well. What clinic did you go to?! @Yingying Xia how much did you surgery cost?